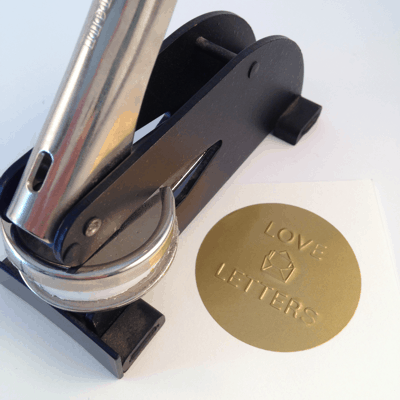 Emboss anything from stickers to envelopes to gift tags with your personal monogram and message. 50 x 50 mm (size of the design). There are four designs to choose from. The embosser comes with one set of plates, and additional plates can be ordered at R400 per set.